Describe a memory or encounter in which you considered your faith, religion, spirituality — or lack of — for the first time. will they stop me from trying again? Can I spend my pain like cash? Was this meant for me alone? to ease you in your suffering? For by [faith—trust and holy fervor born of faith] the men of old had divine testimony borne to them and obtained a good report. Help us with this faith thing. You know we tend to believe what we see with our eyes. You call us to trust in what You have said in your Word – things we can’t always see. You spoke and it just was. Help us to put more faith in You and your Word, and less in ourselves and in what we see right now. 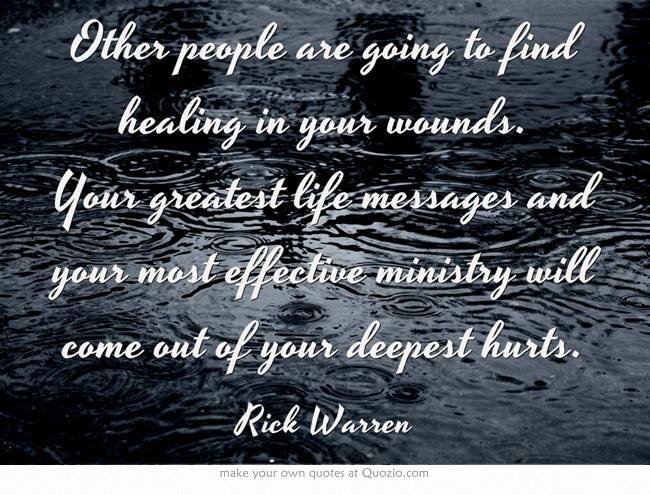 Heal our wounds and brokenness, and let us help each other out on this journey called life, in Jesus Name. Posted in Daily Post, Spirituality, Uncategorized and tagged act of faith, christianity, Daily Post, Daily Prompt, faith, God, Good faith, hebrews 11, Jesus, postaday, The Evidence of Things Not Seen. Bookmark the permalink. Thanks so much for sharing from your heart and love for Jesus … you are a blessing to me! Thank you so much Heidi, you are too! Thank you, I loved you post today. You are so honest and true with your feelings. Like a breath of fresh air. Awesome as always.. I love your posts and love that quote by Rick Warren… Your prayers are so powerful. Bless you sis!! Bless you too sis, thank you! Wonderful. Reblogged a portion. God bless you! Thank you so much, God bless you too! God can be seen in someone life when they are in the midst of trail. Thank you for the re-blog as well Pastor Deborah, Grace and peace to you as well. Excellent, especially with the highlights from Hebrews. Using the Amplified version brings out the best of the best! I was praying through Heb 12:1-2 this morning. We run with endurance as we keep our eyes fixed on Jesus, who endured the cross. The joy set before Him was you and me and all who would be with Him for eternity! Your beautiful poetic reflection is perfect. We comfort others with the comfort we have received from God (2 Cor 1:4). Thanks for the encouragement that you are. Praying for you. Amen! I love the quote by Rick Warren. He’s really got me under the knife regarding using my past. Kind of painful but I have faith it will be worth it in the end 🙂 Blessings! He helps me too, and he has been through alot. Lord, help us all, in Jesus Name. God Bless you too sis!